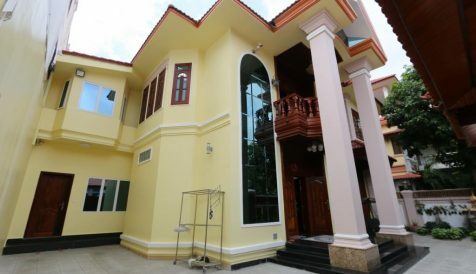 This spacious 5-Bedroom Villa is now available for rent in Tonle Bassac Area. There is E0 and E1 floors. It is partially furnished living room, dining room and kitchen and mostly bedrooms are unfurnished. 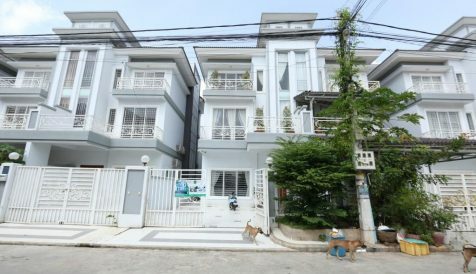 Across two floors there are 5 bedrooms and 9 bathrooms/toilets. There is additional maid room at the back of the house (en-suite) with a toilet for guards. Large terrace on the 1st floor. Located in a quiet alley in a safe neighborhood of boutique hotels. This is stand alone villa with a large car park space and garden. 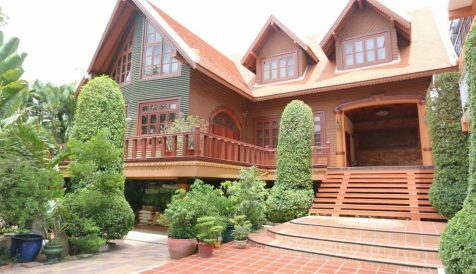 This spacious 5-Bedroom Villa is now available for rent in Tonle Bassac Area. There is E0 and E1 floors. It is partially furnished living room, dining room and kitchen and mostly bedrooms are unfurnished. 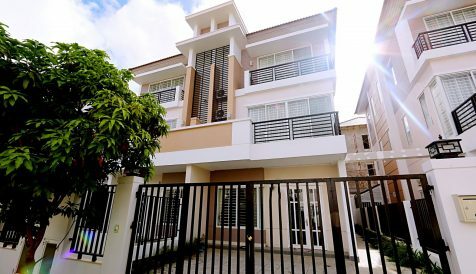 Across two floors there are 5 bedrooms and 9 bathrooms/toilets. There is additional maid room at the back of the house (en-suite) with a toilet for guards.